For road transport enthusiasts there are a number of dates indelibly engrained on the brain: when the next issue of Buses, Classic Bus or Bus & Coach Preseroation is due, for example. 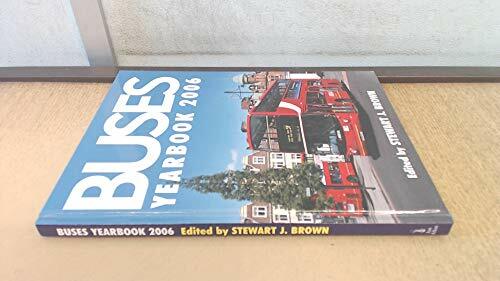 For countless thousands, the end of August is an equally important period as it represents the date that the latest edition of Buses Yearbook is due. For almost five decades, Buses Yearbook, and its early guise Buses Annual, has been appearing like clockwork, providing the enthusiast with a fascinating selection of articles and photo-features on wide range of historic and contemporary subjects. This August is no different as the 2006 edition of the book hits the streets. Late 2005 is likely to be a significant date in the history of the bus industry in the British Isles with the likely withdrawal of the last rear-platform buses in regular service - the iconic Routemaster being finally withdrawn from the streets of London more than 50 years after its original introduction. Marking this momentous event Buses Yearbook has two articles on the demise of the traditional half-cab double-decker, including one specifically on the Routemaster. Other articles and photo-feature sees Gavin Booth examining the history of London Transport fleet modernisation, John Howie examining the operation of buses airside at London Gatwick Airport, the editor describing the last 10 years of bus operation in Scotland, Alan Edmondson recalling Ribble coach operations of the 1970s and Billy Nicol portraying the operation of opentop double-deckers in Edinburgh. Also featured within the new edition is Alan Millar's examination of the history of Transbus, covering the creation, demise and reconstruction of one of Britain's few surviving manufacturers of buses and coaches. Buses Yearbook is perhaps the single best-selling general road transport title published annually; this new edition, with its broad range of articles and photo-features, is certain to be eagerly snapped up by enthusiasts nationwide. The last two editions of the book have included an enhanced colour content and this is again the case for the 2006 edition. Stewart Brown now lives in Lancashire. A freelance writer and photographer on subjects of road transport, he is a regular contributor to magazines such as Buses and Classic Bus. He has been the editor of Buses Yearbook for a number of years and has also written numerous other books for Ian Allan Publishing.